Written by: Jingzhi Zou, Haofeng Xu and (also story) Wong Kar Wai. The first thing that strikes you about watching Wong Kar Wai martial arts biopic of the legendary Ip Man, is the majestic beauty of the piece. Five years in the making, this is the standard of film making that you expect from the man who gave us the stunning In The Mood For Love. What you also notice is that his moody and downbeat tale may look stunning but has nowhere to go. Peaceful Ip Man, living a quiet life in Northern China as a grand master of his own style of kung fu, finds himself having to adapt to life in the South when Gong Yutian seeks an heir for his family. As the years go by, his relationship with Yutian’s daughter, Gong Er, his wife, are pushed to the limits when, after the war, he struggles to provide for her and his family. While he looks for a way of earning a living, she seeks revenge for the death of her father. Kar Wai’s film is stunning, there is no denying. He has a wonderful eye for bringing out the beauty in the most mundane. A splash in a puddle can be a work of art. We are treated to visuals aplenty, with loads of tricks and slow motion. Using light and, to be more precise, darkness to help with the film’s mood and quiet underpinning of tension, it is, without doubt, a work of art. Unfortunately, in producing something worthy of a gallery, Kar Wai has drained out any real impending doom by slowing the pace down to almost a stop. In delivering stunning looking fight sequences, he has, at the same time, given us something rather dull and unadventurous. Each fight, and there seems to be quite a few( some without any real motivations whatsoever), becomes as unmemorable as the next and a series of graceful arm movements and kicks do not bring any real sense of danger, or excitement. We then have the problem with the plot. American producer Harvey Weinstein does have a habit of producing films and then cutting them within an inch of their life, sometimes for all the wrong reasons, but here we have Kar Wai’s uncut version and it still seems inconsequential and rambling. The true story of Ip Man, the one who trained Bruce Lee, doesn’t seem to have anywhere to go, like it’s searching for something to get its teeth into and yet can’t find anything meaty enough. 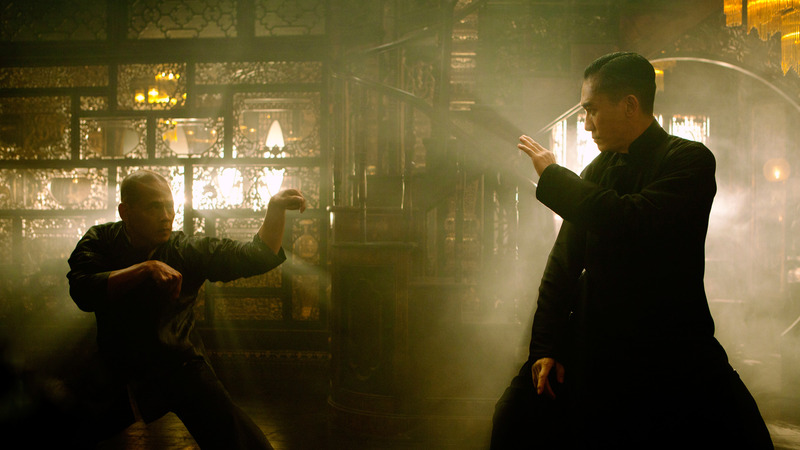 Ip Man seems a perfectly fine fellow and in the hands of legendary Asian actor Tony Leung, he brings a level of pride and control to creating him. He does own the screen with an air of quiet confidence and it’s a beautifully underplayed performance. The wonderful Zhang Ziyi, as Ip Man’s wife, also gives another first class performance and, as proven before, she is both graceful and powerful in the fight scenes. If this wasn’t a Kar Wai film, we would be saying that it was perfectly acceptable. Here, however, it doesn’t feel acceptable at all and, while the director is a master of the image and has created something wonderfully impressive visually, he is let down by a story that goes nowhere and only really becomes interesting when the very young Lee appears and you crave for more about that relationship. Maybe someone will make that movie but in the meantime, this is certainly a film that has definitive style over substance.